Recently, I was reading about a guy who wanted to know if it was possible to build muscle on a ketogenic diet. He wasn’t overweight, but wanted to lose some fat and gain some muscle while he was at it. And, after reading a bunch of articles, he was convinced that a ketogenic diet was the best way to go about it. Google around for information on ketogenic diets and muscle growth, and you’ll come across the many great and wonderful things that happen when you cut carbs from your diet. You’ll recover more quickly, feel less sore, and get stronger faster. Critics of the diet say the exact opposite. Ketogenic diets limit your ability to train hard. Trying to build muscle without carbs is like Tony Stark trying to save the world without his Iron Man suit. There’s absolutely no way, they say, to add muscle while you’re in ketosis. As it turns out, both sides can bring data to the table to support their point of view. SIDE NOTE: If you want a basic overview of the ketogenic diet, as well as more information about the pros and cons, Jeff Cavaliere explains more in the video below. Fans of keto dieting point to research showing that low levels of muscle glycogen don’t have an adverse effect on your performance in the gym . That lifting weights with low levels of muscle glycogen doesn’t impair the anabolic response to resistance exercise . And that the consumption of carbohydrate has no effect on muscle protein synthesis above and beyond the consumption of protein alone . On the other hand, keto critics claim that low carb diets limit your ability to train hard . That lifting weights with low levels of muscle glycogen dampens the post-training anabolic response [5, 6]. And that carbs are anti-catabolic, playing a key role in preventing the breakdown of muscle tissue . Research that looks directly at the impact of ketogenic diets on muscle growth is relatively rare. However, there are a few studies out there to compare the muscle-building effects of low and higher carb diets. And some of them appear, at first glance at least, to favor a ketogenic diet for muscle growth. My focus here isn’t on how short-term carbohydrate restriction and low glycogen levels affect exercise performance. Rather, I want to look at the effect that ketogenic diets have on lean body mass (which serves as a reasonable proxy for muscle mass) over a period of 6-12 weeks. Back in 2002, a group of researchers from the University of Connecticut tracked changes in body composition in a group of healthy, normal-weight men . Of the 20 men taking part in the study, 12 switched from their normal diet to a low-carbohydrate ketogenic diet for six weeks. The other eight men continued with their normal diets. Foods eaten on the low-carbohydrate diet included beef (steak and hamburgers), cheese, eggs, peanut butter, various nuts and seeds, vegetables and protein powder. Subjects were also told to avoid fruits and fruit juices, dairy products (except hard cheese and heavy cream), breads, cereals, rice, beans, and sweets. The men kept a food diary each day of the study (seven days during baseline and 42 days during the low-carbohydrate diet) and the control group kept seven-day records during weeks one and six. Here’s what daily nutrient intake looked like in both groups during the final week of the study. The men on the low-carbohydrate diet gained just over two pounds of muscle. The control group, on the other hand, gained just under one pound. However, while the keto dieters gained twice as much muscle as the control group, this doesn’t necessarily mean that such a diet is the best way to pack on size. The first problem is the big difference in protein intake between the two groups. A closer look at the food records reveals that subjects on the ketogenic diet ate TWICE as much protein than those in the control group (176 grams versus 80 grams per day). The extra muscle growth in the low-carbohydrate group was most likely down to the fact they were eating more protein. This brings me to the subject of exercise. What this means is that all subjects in the low-carbohydrate group were following a different exercise program, and we have no idea what sort of exercise the control group was doing. In other words, any differences in muscle growth between the two groups could have been due to a better training program rather than diet alone. A group of 25 college aged men, all of whom had been training for an average of 5.5 years, were divided into a ketogenic or traditional Western diet group. The Western diet consisted of 20% calories from protein, 55% from carbohydrate, and 25% from fat. The keto dieters got 20% of their calories from protein, 5% from carbohydrate (including fiber), and 75% from fat. Protein intake was matched at around 130 grams per day, and all subjects lifted weights three times per week for 11 weeks. From weeks 1-11, the keto group gained roughly twice as much lean mass as subjects on the standard Western diet. Gains in muscle thickness, measured using ultrasound, were also significantly greater in the keto group. On the surface, this study appears to provide strong evidence that keto diets are the way to go if you want to build muscle. But only until you take a closer look at the way it was done. The keto group “carbed up” in the final week of the study, which led to a gain of 6.6 pounds (3 kilograms) of lean mass. In other words, much of the gain in lean tissue came from glycogen (the name given to carbohydrate stored in the body) and water. If you look at the results from weeks 1-10, before the keto group bumped up their carb intake, there was no significant difference in the rate of muscle growth between the two groups. Doubts have also been raised about the independence of various researchers involved the study, as some of them had potential conflicts of interest that weren’t disclosed in the research paper. The lab also has a reputation for publishing results that seem a little too good to be true, and other researchers have questioned the veracity of their previous findings on HMB and muscle growth . Personally, I’ve seen no evidence to suggest that the results from this study have been tampered with. However, there are claims that the data used in the research is fraudulent. In any case, the whole thing sounds a bit fishy to me. Will You Lose Less Muscle on a Ketogenic Diet? When you’re trying to lose weight, it’s all too easy to end up losing muscle along with the fat. One of the arguments in favor of the keto diet is that it has a “protein sparing” effect, which allows you to preserve more muscle during weight loss than if you hadn’t been ketogenic. To put the idea to the test, a team of Brazilian researchers took a group of 21 overweight men and women, and got them to train with weights three times a week for eight weeks . Half the subjects were told to restrict their carbohydrate intake to less than 30 grams per day during the first four weeks. Afterwards, they were allowed to add 10 grams of carbohydrate each week until the end of the study. The other half followed a more conventional diet, where 55% of their calories came from carbohydrate, 15% from protein and 30% from fat. Both groups ate a similar amount of protein – roughly 0.7 grams per pound (or 1.5 grams per kilogram) of bodyweight. There was very little difference in results between the low carb and conventional diet groups. They both got stronger, lost fat, and reduced their waist size. There was also no significant difference in muscle growth – measured with ultrasound at the biceps, triceps and quadriceps – between the two groups. Similar results were found in a 12-week study of 42 men with metabolic syndrome , and a 10-week study of overweight women . Pairing resistance training with a ketogenic diet had no beneficial (or adverse) effects on the preservation of muscle mass during weight loss compared to the same training program paired with a conventional diet. A six-week study of men and women doing CrossFit four times a week also fails to show that keto diets have any special muscle-building properties . Subjects who went low carb gained no more muscle than a control group who were told to carry on eating their regular diet. One study that’s often used in support of ketogenic diets looked at a group of elite male gymnasts during two 30-day periods . For the first 30 days, the gymnasts followed a low-carbohydrate diet and continued with their regular training. They also performed a series of strength tests to see how well their performance held up. Three months later, they switched to their normal diet, and went through the same battery of tests. During both periods, the men could eat as much food as they wanted. However, during the keto phase of the study, they ended up eating 300 fewer calories each day. As a result, they lost weight. What’s more, all the lost weight (4 pounds or 1.9 kilograms) came from fat. There was also a small non-significant increase in muscle mass. In other words, when they were on the keto diet, the men lost fat and gained a bit of muscle. And, other than during the first couple of weeks, when the gymnasts complained that they couldn’t finish all the exercises, restricting carbs had no adverse effects on performance. They performed equally well on both the normal and low-carb diets. When you dig into the study, there were several problems with the way it was done that limit the conclusions we can draw. For one, there was a big difference in protein intake between the two diets. During the low-carb phase of the study, the gymnasts averaged 201 grams of protein per day. That compares to just 84 grams during the normal diet. So, we don’t know if the benefits of the diet were down to the extra protein rather than the reduction in carbs. In fact, we don’t even know if the gymnasts were in ketosis or not, as ketone levels weren’t measured in the study. During the keto diet, the gymnasts took a supplement containing various herbal extracts. But they didn’t use the same supplement when they were on their normal diet. What impact did the supplement have on the results? We don’t know. But it could have skewed the results in favor of the low-carb group. In short, there were several problems with the way this study was set up, and it’s a long way from the ringing endorsement for ketogenic diets that some like to claim. How Much Protein Can You Eat and Stay in Ketosis? Most people think of ketogenic diets as being low in carbohydrate and high in fat. But what about protein? Many advocates of low-carb, high-fat diets believe that too much protein can kick you out of ketosis. As a result, a lot of keto dieters will also restrict their protein intake, worried it’ll knock down their ketone levels. 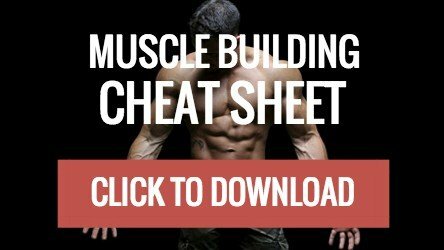 So, if you’re trying to build muscle on keto, do you need to put a cap on the amount of protein you eat? For therapeutic ketogenic diets, where relatively high levels of blood ketones are required, both protein and carbohydrate intake need to be restricted. Diets designed to treat children with intractable epilepsy, for example, typically derive 6 to 8% of their calories from protein . However, while protein does have the potential to reduce ketosis, it doesn’t prevent it completely. Most studies show that you can get all the protein you need to build muscle without kicking yourself out of ketosis. In one study, a group of highly-trained ultra-endurance athletes were still in ketosis despite eating around 1 gram of protein per pound (2.1 grams of protein per kilogram) of bodyweight per day . Similar results were seen in a study of elite race walkers on a ketogenic diet eating 1 gram of protein per pound (2.1 grams per kilogram) of bodyweight during three weeks of intensive training . Despite the relatively high protein intake, blood ketones were around 1.2 mmol/L at the end of the study, which indicates a state of ketosis . In a group of guys lifting weights three times a week and eating a ketogenic diet providing 0.7 grams of protein per pound (1.6 grams of protein per kilogram) of bodyweight, blood ketone levels were around 1.0 mmol/L after six weeks . In short, given that the muscle-building benefits of protein have been shown to plateau at around 0.7 grams per pound (1.6 grams per kilogram) of bodyweight per day, it’s still possible to remain in ketosis while eating enough protein to support muscle growth. It’s also worth pointing out that no two people respond in exactly the same way to a ketogenic diet. Australian researchers discovered as much when they rounded up a group of intermediate and elite strength athletes, and got them to follow one of two different diets for three months . The lifters were split into two groups. One group followed their usual diet, while the second cut their carb intake to 50 grams or less per day. On average, lifting performance didn’t differ between the two diets. Whether the lifters followed a ketogenic or a regular diet, strength gains were virtually identical. However, the problem with looking at group averages is that they mask individual changes in performance. Drilling deeper into the results shows large differences in strength gains from person to person. Check out the figure below, which shows the change in lifting performance on the usual diet (UD) and low-carbohydrate ketogenic diet (LCKD). The black dots represent individual strength gains after three months of training, while the horizontal bars represent the group average. In other words, individuals can respond very differently to the same diet. Some folks seem to do just fine when they cut back on carbs, and you may be one of them. If the diet is delivering the goods, then stick with it. On the flip side, if it’s not working, you feel like crap and your performance in the gym is tanking, you may well be better off with a diet that’s less restrictive. To sum up, it is possible to gain muscle on a ketogenic diet. What’s more, there are several studies out there to show that ketogenic diets do just as well as their higher carb counterparts when it comes to preserving muscle while you lose fat. However, there’s currently no compelling evidence to show that ketogenic diets offer any muscle-building benefits that you don’t get with a higher-carb diet providing adequate amounts of protein and fat.